Maharashtra Housing Department Recruitment 2018: According to the advertisement published, the applications are invited for a total of 27 Typist, Lower Division Clerk, Process Server, and Peon vacancies. Interested and all qualified candidates can apply online till 29th August 2018. The latest job openings in Maharashtra Housing Department are updated in this post. Candidates who are willing to do a job in Maharashtra Government can apply as soon as possible. 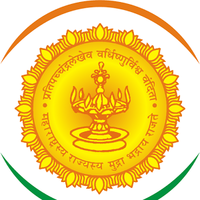 The Maharashtra Housing Department Typist, Lower Division Clerk, Process Server, and Peon vacancies exam date is 22nd or 23rd September 2018. To know more updates about Maharashtra Housing Department Recruitment 2018 Post-wise vacancies, maharashtra.gov.in Salary details, Educational qualification, selection process check in the below sections. Job aspirants one thing should note that the applications are invited from only eligible and interested candidate. Candidates will select on the basis of Computer Based Online Test. For more details of MHD Recruitment 2018 Notification for Typist, Lower Division Clerk, Process Server, and Peon jobs like Age Limit, Qualification, Number of Posts, and How to Apply are given below on our site freshersnow. Candidates before applying for the Maharashtra Housing Department Recruitment 2018 Notification people should check the educational qualification details in the official notification. At the end of this page, we have given the official notification. Check if further for more information. The officials of Maharashtra Housing department will conduct the Computer Based Online Examination to recruit the capable candidates for Typist, Lower Division Clerk, Process Server, and Peon Posts. The payment of Maharashtra Housing Department Recruitment 2018 application fee has to be pay through online mode via Net-banking, Credit or Debit Card. Till now the officials of Maharashtra Housing Department has not yet revealed the Maharashtra Housing Department Typist, Lower Division Clerk, Process Server, and Peon Jobs Payscale. For more info about Salary stay tuned to our web portal for latest updates of Maharashtra Housing Department Recruitment 2018. The homepage will appear and search for the Maharashtra Housing Department Recruitment 2018. Click on the latest advertisement and check the entire details of eligibility criteria. Upload the documents which were asked by the Maharashtra Housing Department organization. Finally, click on the Maharashtra Housing Department Application form Apply Button and download it.